New Shop Retail Pvt. Ltd.
“It is ever so much easier to be good if your clothes are fashionable. 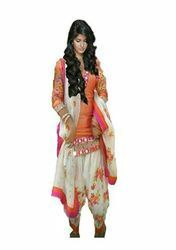 So here are the indian outfits which will make you fashionable...Grab these trendy semi stitched suits..